Kanna or Sceletium tortuosum. The status of the question. Quanto à própria planta, cultivá-la é tão fácil e simples quanto ele ganha. Para colocá-lo simplesmente, Quinta do feminizadas Utopia Haze cresce em seu próprio, com quase nenhuma ajuda. Crescendo abaixo um metro (80-90 cm) Toma cerca de 10 a 11 semanas a florescer. Uma vez pronto para a colheita, ele realmente oferece rendimentos abundantes. Years of complex breeding techniques, applied to the exotic genetics gathered during this true cannabis scientific excursion, they reached a stable Sativa dominant hybrid. 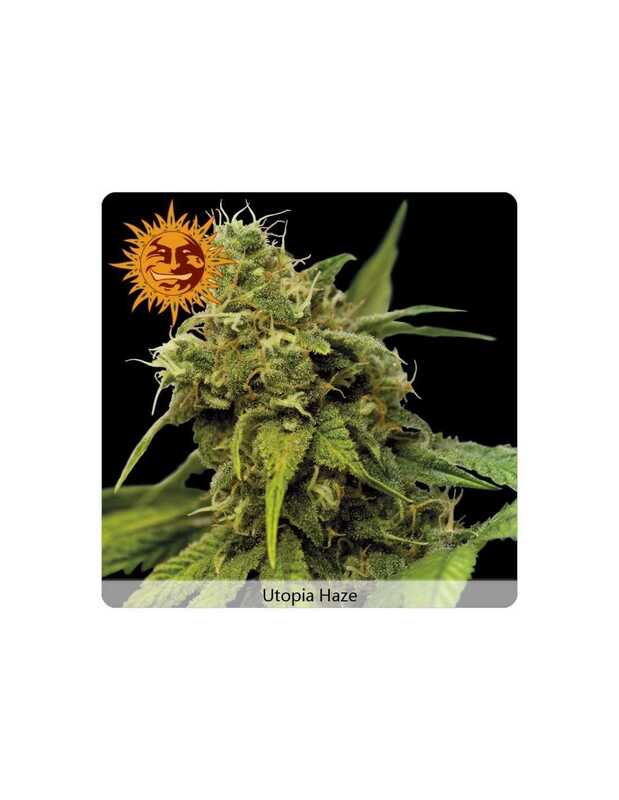 Despite the immense power (THC 22%), the Barney's Farm feminized Utopia Haze makes a great daytime smoke, with its uplifting and energetic high. This high yielding cannabis strain is a result of an expedition, undergone by the Barney's Farm breeders to the Brazilian jungle, seeking the world class marijuana. Well, judging by the resulting Barney's Farm feminized Utopia Haze. 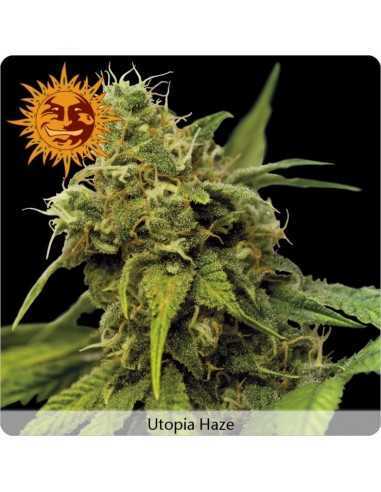 The feminized Utopia Haze from the Barney's Farm was judged the Best Sativa and the second best in the general category at the 2008 High Times Cannabis Cup.